Why did you get into speech therapy in the first place? Was it for the money? I doubt that. No, I’m going to go out on a limb here and say that it was probably because you love helping people. You love that moment when a child’s face lights up because he’s had some AMAZING breakthrough with his communication that you KNOW will change his life. That’s why you do what you do. So why is it that you wake up some mornings and DREAD going to work?? That’s not what you imagined it would be like in grad school. When all of the stress and paperwork is getting you down, I know firsthand that it can be very helpful to have a nice visual reminder of why you put yourself through all this. Heck, our kids get visual reminders, why don’t we? 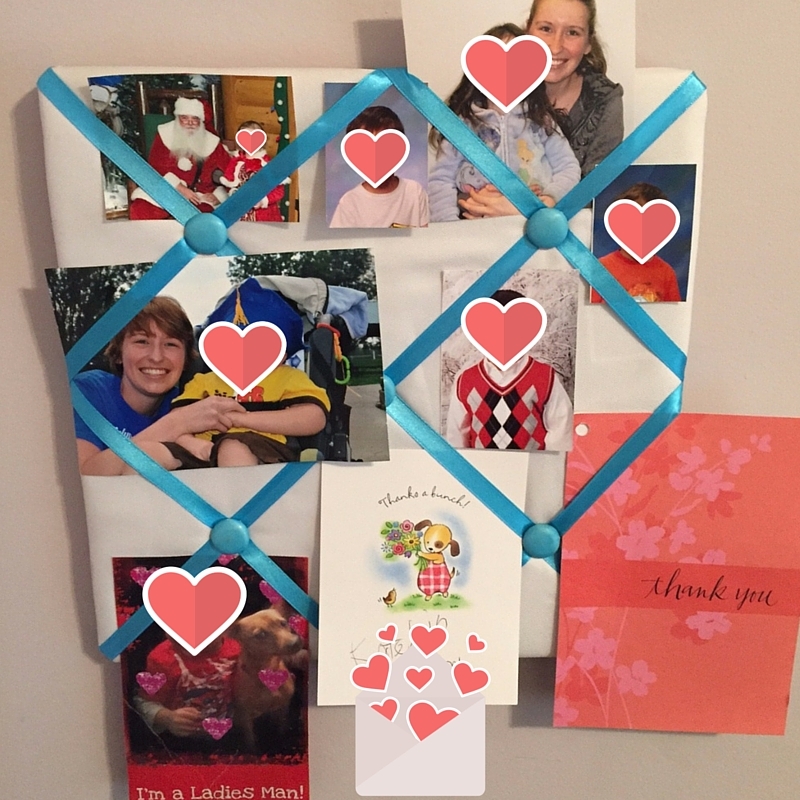 My favorite type of pick-me-up visual reminder is a memory board. On it, I place mementos that remind me of all of the amazing kids I have helped and the challenges we’ve overcome. I put pictures of my past students that parents gave me, hand-written cards, and special Christmas gifts. Whenever I need a pick-me-up, I just look at that board and remember all the good I am doing and even the mountains of paperwork can’t dash my soul. What I Recommend: I use a small ribbon board (pictured above) and just added pictures and cards whenever I get them. 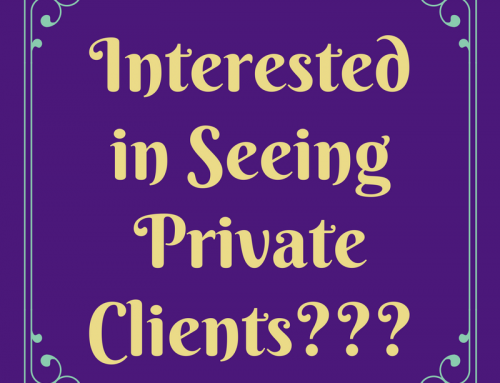 Just make sure that if you are using client pictures, you display it in a way that won’t violate HIPAA! Ok, enough of the feel-good stuff. You need actual tips that will help you get through the day. I’ve got that covered. What would happen if you only took hard data once per month? If you’re first reaction is “That’s impossible, my employer requires physical data every day”, then this tip isn’t for you. Keep moving. But, if you don’t have requirements for frequency of data collection, then I urge you to consider taking data less frequently. 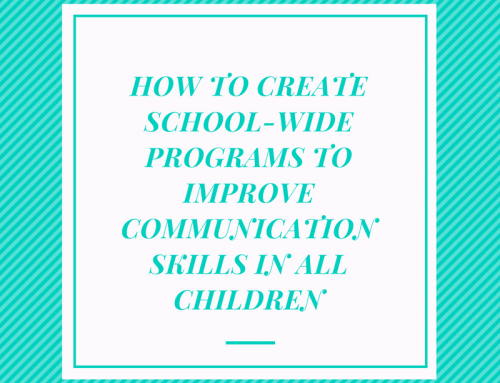 Our kiddos generally make slow progress toward their annual goals because speech and language skills don’t come easily to them. 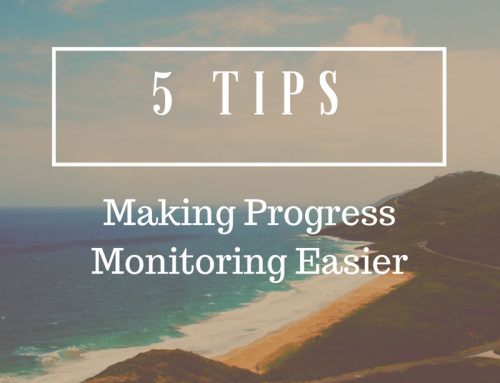 In my experience, most of my children don’t make such HUGE strides over the course of a month that I need to take data more frequently than that. And if they do make a huge leap, it’s pretty obvious and I can just single that child out for extra data collection. What I Recommend: Practice the same skills all month long but only take actual data (on paper or digital) during the last week of the month. Based on that data, you can either switch gears and work on a different skill or decide to approach the current skill differently. The rest of the month, you are hands-free to actually work with the kids. I bet you’ll see faster progress because you’ll be able to get more done during therapy if you don’t have your nose buried in your data collection notebook. 3. Break Up Those Crazy Groups! How’s that group of four 2nd grade boys working out for you? Great? If you said yes, you’re either lying or you’re a magical speech therapy goddess! If you have one or more groups suffering from “crazy group syndrome” and nothing is getting done, consider breaking those groups up into shorter individual sessions. Let’s say you have a group of four kids that you see for 30 minutes twice per week. During that 30 minutes, each child gets about 20 repetitions of his sound/skill because the rest of the time he’s waiting for his turn or you’re working with someone else. That might not be the exact numbers but it’s probably a close estimate. Well, I bet that in 5 minutes of one-on-one time with one of those kids (without games or distractions), you could get him to say the sound/skill about 50 times. That means, he’d get more reps in less time (faster progress with less class time missed). Does this sound like a dream? Well, it’s actually backed by research. What I Recommend: Take all four kids from that 30 minute group and see them for 5 minutes each right outside their classroom door. It will take you about 30 minutes to get around to all four classrooms and do 5 minutes with each kid so it won’t take any more of your time, but it will get each child more reps and more individual attention. Win-win! Now, if you’re working from IEPs, you will need to revise IEPs to do this since the minutes will be fewer per week but you should be able to do this as a quick IEP amendment over the phone. Just make sure you have your LEA and any other required personnel present. Also, make sure you’re explaining to the parents that you are reducing the child’s minutes but increasing the one-on-one time he has with you so you are confident he will get more repetitions in during each session. But tell them that if he doesn’t make as much progress this way, you’ll go back to the old way. If this seems like a lot of work, just try it with one of your groups to start with and see how you like it. If it works well, then you can switch more groups to this method! 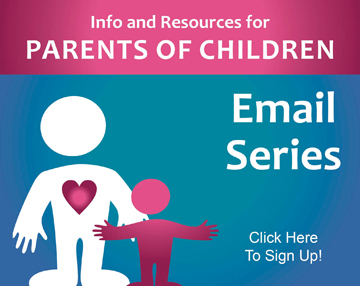 Do you struggle with finding an easy way to communicate with parents with such large caseloads? When I was working with large caseloads and sending notes home, I made some easy to use checklists and printed them on carbon copy paper. 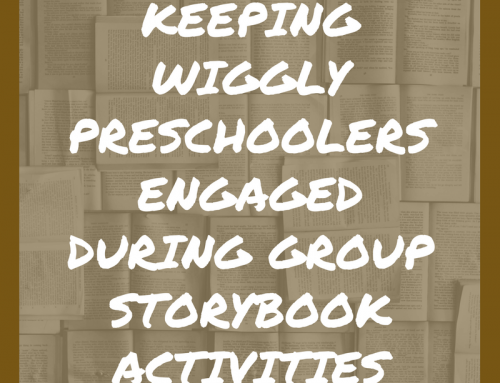 At the end of each child’s session, I would just check a box indicating what skill we worked on so they would know what we were targeting and could try to work on it at home if they wanted to. Then, I would separate the carbon copy from the original and send the original home. The carbon copy went into my notes in case there was ever any debate (though you could do without the carbon copy as well). What I Recommend: Download my own handout (like the one pictured above) by clicking the button below. Or, create your own and print it out on carbon paper so you can keep a copy! DOWNLOAD THE “What We Are Working On In Speech” HANDOUTS FOR FREE! No one like writing lesson plans for 60 kids. No one. My solution: Write fewer lesson plans and use pre-made lesson plans for assistance. First of all, you really shouldn’t need to write lesson plans for every child, every week. Like we talked about earlier, most of our students don’t make ridiculously fast progress in speech. For that reason, it’s perfectly reasonable to write one lesson plan for the whole month and have that be effective all month long. Now, that’s not to say that you’re going to do the exact same activity every day for a month, but you can write lesson plans for general skills and switch out the materials or games each time the student comes in. For example, if you see each child twice per week, you could indicate that Tuesdays you will work on following one-step novel directions and initial /s/ words and on Thursdays you will work on initial /s/ words and the pronouns “he/she” in simple sentences. You can switch up the materials you use each time but your general lesson/plan will stay the same for the whole month. Then, if you have a kiddo who really does make crazy fast progress, you can just update his lesson plan and not your whole caseload. This works really well if you’re using the suggestion above and only taking data once per month as well. Well of course, I’m going to say that my website has a ton of great info for lesson planning! I strive to create easy-to-use guides for speech and language skills that translate GREAT to lesson planning! Feel free to search my site using the search bar at the top of this page for any skills you need help with. 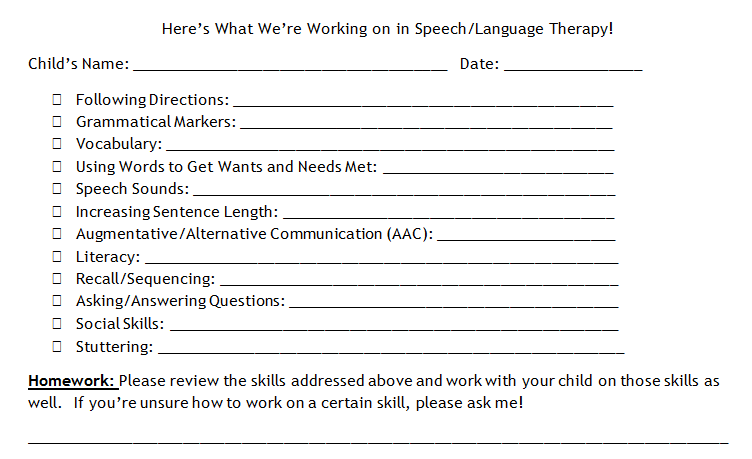 Also, you can search www.TeachersPayTeachers.com for any speech therapy resources you may need. 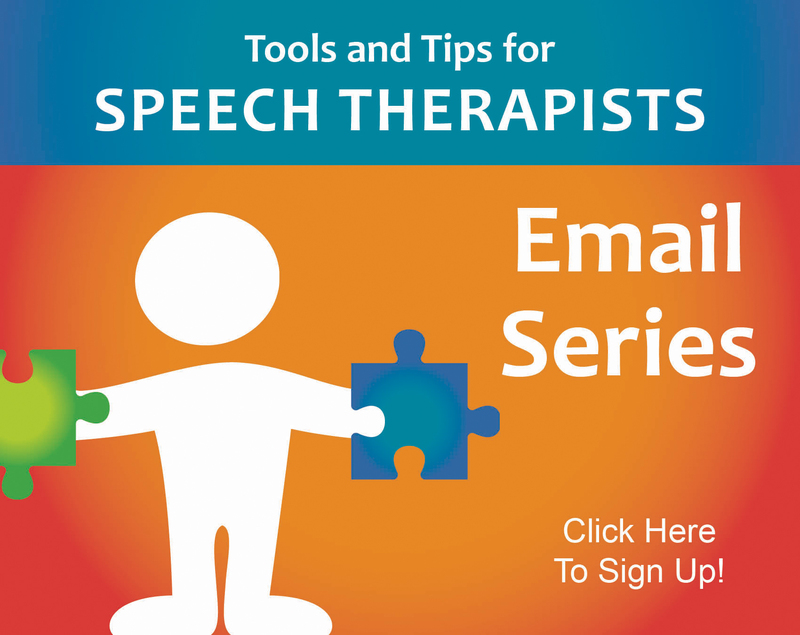 There are a ton of resources on there that speech therapists have created on a variety of topics. Some are paid and some are free. Have you ever had that one coworker who just knew how to deal with EVERYTHING?? This was my CF supervisor, Catherine. If I had a tough case, I just went to her and said “What should I do?”. She always made things magically better and knew the right answer. If you don’t have a coworker like this that can help you with your tough cases, you’re not out of luck! I offer a service where I help people with their tough cases just like Catherine helped me. When you sign up for The Speech Therapy Solution, my membership site, you’ll get access to over 200 training videos answering questions from other speech therapists. It is very likely that your question has already been answered. And if not, you can send me your question directly and I will do the research and make you a short video explaining your best options for treating that kiddo. It’s that simple! Plus, you get an hour-long monthly webinar each month that goes in-depth on one topic. Do you find yourself writing the same phrases or sentences over and over again? If so, you need some text expanders. Text expanders are handy little tools that will allow you to type a short code, like “soapnote” and your computer will automatically write that common phrase that you’ve told your computer to fill in. iPhone/iPad: Your device already does this! Go to Settings, General, Keyboard, Text Replacement and then hit the + sign at the top. You can write the phrase you want in the top box (you can write whole sentences, too!) and then the shortcut or code (what you will type that will then be expanded) in the bottom box. Then, open a new text message and try it out! I know this one sounds simple, but it’s really HUGE! The simple act of tidying up your office when you walk in the door in the morning can set your day off to a GREAT start. Not only will you feel less stressed by knowing where everything is, but your work space will immediately feel calmer. A calmer work space will mean you feel calmer and clearer throughout the day as you work in that space. Plus, children respond strongly to their environments. When children are in a chaotic environment, they become chaotic. But when they are in a well-organized, calm environment, they become peaceful. Just think of the difference between an indoor play place with kids running everywhere and a Montessori classroom with calm music playing and all children focused quietly on their work. If having calmer students doesn’t make your job more enjoyable, then I don’t know what will! Before you leave your office each day, pull out a sticky note or a scrap of paper and write down one win that one of your students had. You don’t have to write their name, just write down something awesome that happened for one of your kids in speech. The simple act of writing down these wins will help to keep you in a grateful and positive mindset. Plus, when you’re having a rough day, you can always look back through your jar to show you how much of a difference you really are making in these children’s lives. At the end of each year, take some time to go through the jar and think about all of the lives you’ve touched and changed. We are in an AMAZING field where we get to improve the quality of lives of SO many children. I know that the paperwork and BS can get overwhelming at times but what you do is SO IMPORTANT!! From the bottom of my heart, I thank each and every one of you for the service you do for these students. We need people like you so PLEASE take some time to do some self-care so that you can keep being AMAZING and helping all of your students. Hopefully these tips will help keep you in that good, positive place! 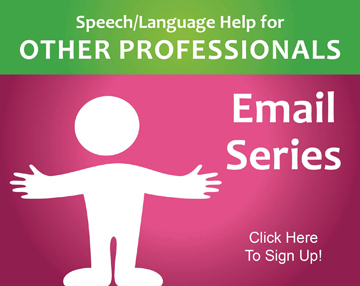 If you’d like more speech and language help, please join my email list so you won’t miss any of my excellent resources. 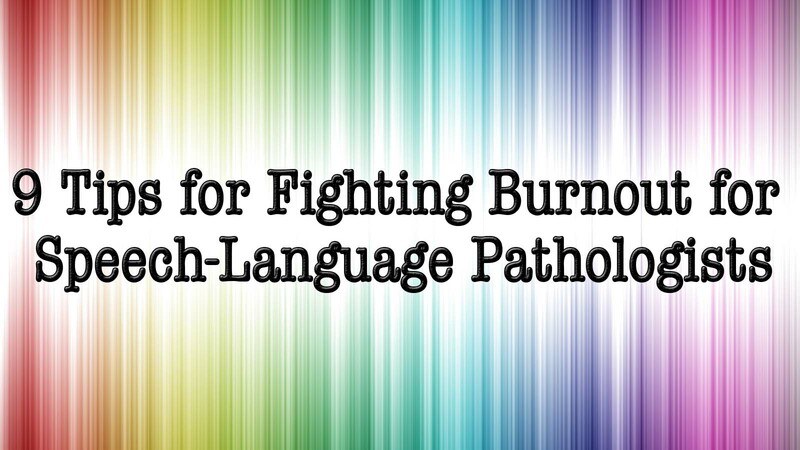 I strive to simplify your job as a speech-language pathologist with practical, easy-to-follow guides that will make treating speech and language disorders a breeze. Thanks, so much for “burn out” suggestions as they really helped me to focus for the New Year! This is fantastic. As a new grad I remember feeling ver overwhelmed. I wish I had had these tips then. I hope it can help some of those overwhelmed new grads now! Glad you enjoyed the read! Great list of suggestions! I would also add to that list, Learn to Say No. As professionals in a field where we want to help people, it is often very hard to say no when we are asked to take on more and more. When we don’t have firm boundaries about what we can and cannot accomplish in a 40 hour work week, we will be at the mercy of our employers demands and may be doing the work that was intended for two or three speech pathologists. It’s a lose-lose situation for the students and for you. There are some great ideas on how to approach your school district, your county offices, or whoever your employer is in a way that is professional and respectful without being seen as a complainer or whiner. The more often we SLP’s negotiate fair caseloads and equitable pay, the more we will be seen as specialists and professionals in a field that is high in demand for our skills rather than the being seen as the marmsy speech teacher who has been cast away to a speech closet and only comes up for air when she’s absolutely drowning. The books I suggest to learn about negotiation and assertiveness in the workplace were written for a female audience but can be read by either men or women who need some help in assertiveness. Again, if we act like doormats instead of highly qualified (and deserving) professionals, we will be seen and treated as doormats by our superiors, our colleagues, and in our communities. This is VERY well said! Thank you for adding this point that I really missed. This is crucial! Thank you for the great ideas. I love what I do but it seems as if the paperwork just takes over. It’s always nice to go back and remember why we do what we do. Our kiddos make it all worth while! I totally agree! Glad you enjoyed the read! Wow! I really needed this encouragement today. I’m going to take data less and change up my lesson plans to save time. Thank you so much. You’re welcome!! If this post only helps one person it will be worth it so thank you for letting me know!! So excited to be learning this as a student pursuing this field! We shouldn’t wait till we are drowning to learn how to swim or ask for help. Thankful those who have gone before can teach future pathologist and keep this field as worthy and professional as it should be valued. Very informative, appreciate this insight. Thank you for this. 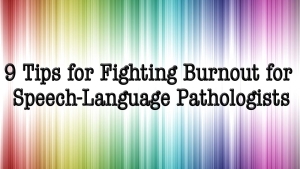 I have a friend that is an amazing speech pathologist but so burned out that she is thinking to leave the field. I am actually really sad at that thought because I know she is amazing and the kids are going to miss out. What can I do to help her? Hi, Guilia-You are a great friend to see the special gift your friend has. We need more SLP’s out there! Please refer her to our site for additional resources to possibly help her with materials that could help lessen the stress on her. Thank you so so much for your words Carrie. I can’t tell you how I’ve waiting so long to hear such advice as this. I’ve been running my own practice and felt so so alone here. It seems like other therapists don’t want to meet, give advice or support because of competition. I struggle with lack of resources, cost of… everything and getting too many caseloads. What do you think is an average (acceptable) number of kids to see per day? I am not the typical SLP—for one I am male. Two…Speech was a chosen career change, I started with a Masters in Broadcasting and ended up needing a Masters in Speech. It was a good change. Now…21 years into Speech Therapy and 16 of that in the schools (same school system), I am needing a pick me up and this page did help. Right before I found this page, I cleared my desk that was a long time coming…that helped as you said it would—but yes should do it every day. Regardless…loved your tips and very well thought out…you covered a lot of bases! Thanks! Thanks for sharing, Mark! We appreciate having your perspective!